Posted on August 28, 2018 by Andy Higgs in Home. The unpredictability of nature makes a safari holiday one of the trickiest trips to plan. For many, an African safari adventure is a once in a lifetime experience, so of course, you want it to be everything you hoped it would be, and more. In order to make this dream holiday a reality, some strong research from reliable sources is essential, and can really maximise your experience when it comes to seeing some of the world’s most majestic animals in their natural habitat. With that in mind, we’ll hope you’ll find this short guide useful when booking your safari. Africa is the world’s biggest safari hotspot. However, this vast continent alone offers 54 different safari experiences, with the most popular destinations being Kenya, Uganda, Tanzania and South Africa. These four nations boast an abundance of wildlife and all have excellent track records when it comes to the safety of their tourists. What’s more, they all have well established tourism industries and their most popular national parks and game reserves have been in operation for many years, giving them an impressive history of customer satisfaction. A popular bucket list ambition is to see the big five (lions, elephants, leopards, buffalos and rhinos). Naturally, a visit to Africa’s bigger game reserves can maximise your chances of this becoming a reality, and these are based in Kenya, Tanzania and Uganda. Uganda is also home to mountain gorillas, which are a truly awe-inspiring spectacle. 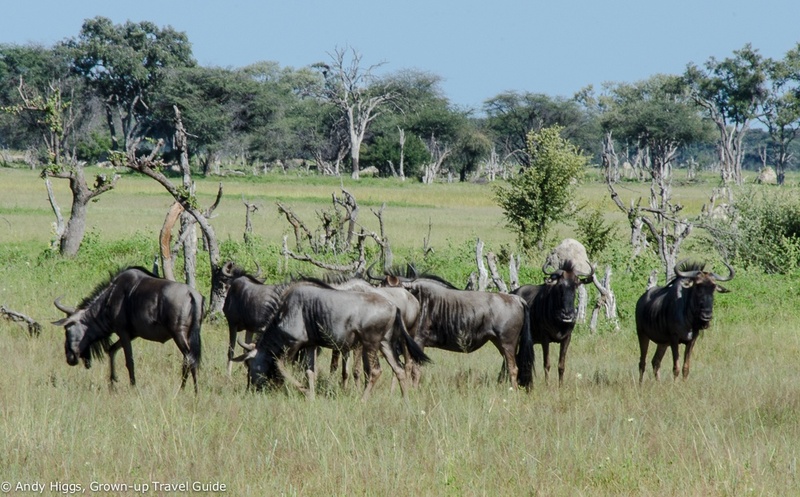 Most safari areas cover vasts amount of land, and many of the animals that inhabit there are migratory and make full use of the grand landscape. With that in mind, it is essential to research and pick the best time of year to travel, depending on what you want to see. For example, the famous river crossing which occurs as part of the Great Migration takes place between August and October, as hundreds of thousands of animals attempt to cross the Mara River from Tanzania into Kenya. Therefore, booking a trip to Tanzania during these months to see wildebeest may be a futile exercise, as the animals have migrated north. While jeeps and other 4×4 vehicles are ideal for off-roading and provide optimum visibility for passengers, there are a range of other transport options available too. For example, water safaris can be a thrilling and captivating experience, and usually occur in a small boat or canoe, enabling you to spot a wide range of birds, fish and reptiles including the mighty African crocodiles. Walking safaris are also an option, however, this of course places huge limitations on the amount of land you can cover, although this does allow you to get really up close and personal with the nature you do see. With that in mind, perhaps the best thing to do is to arrange a combination of all three. There are plethora of companies out there vying for your booking but it really pays to do a little bit of research to uncover the best deal. Compare package holiday prices and always read customer reviews- normally you’ll find that this can help allay any concerns you might have. Africa safari holidays by specialist like Africa Odyssey offer comprehensive travel and accommodation options so be sure that your chosen holiday booking offers something to suit your taste and budget too. If you’re looking for a family-friendly experience, ensure the provider caters for this type of trip. If you’re looking for a romantic getaway, including honeymoons, make sure romantic packages look up to scratch. ← Should Canadian Travellers Eschew Real Casinos in Favour of Online?